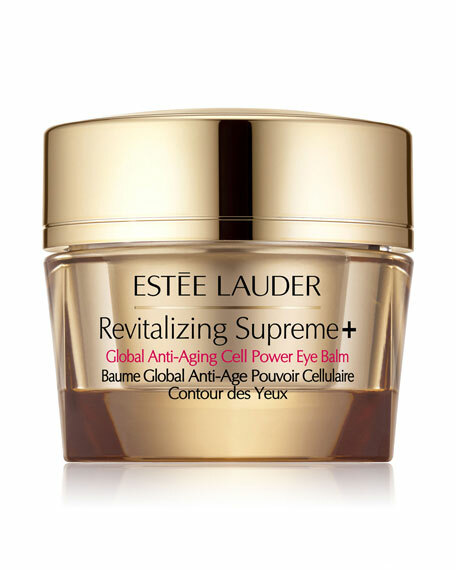 Estee LauderRevitalizing Supreme + Global Anti-Aging Cell Power Eye Balm, 0.5 oz. This richly nourishing, multi-action balm significantly improves visible firmness and elasticity around the eyes, and reduces the look of lines, wrinkles, puffiness and dark circles. Leaves the eye area looking radiant. With our powerful RevitaKey Technology featuring an exclusive Moringa Extract, it's your key to younger-looking eyes.